As many of you know, our 4-year old son Jax finished Pre-K last June. However, since Jax has a late December birthday, in the state of California, he cannot start Kindergarten. Children have to be 5 years old by September 1st. Kids are eligible for TK (Transitional Kindergarten) if their birthdays fall between September 2nd – December 2nd. So, Jax’s entire class graduated to Kindergarten except for him and his friend Ethan whose birthday is December 7th. Sadly, these two little guys would have to repeat the year they just finished so we thought this would be the ideal time to go abroad for the year. Plus, Ry and I have wanted to live abroad for a while. It is much easier to do this while Jax is still young and not in the thick of school rigor. When we knew we wanted to go abroad, I went online and googled “cheapest places to live abroad” and Forbes had published this article. Based on this, I told Ry, let’s go to Europe and suggested Spain. But when Ry was doing more research on where exactly we should stay, he found Portugal to be more appealing. I was like, “ok!” And that was that. 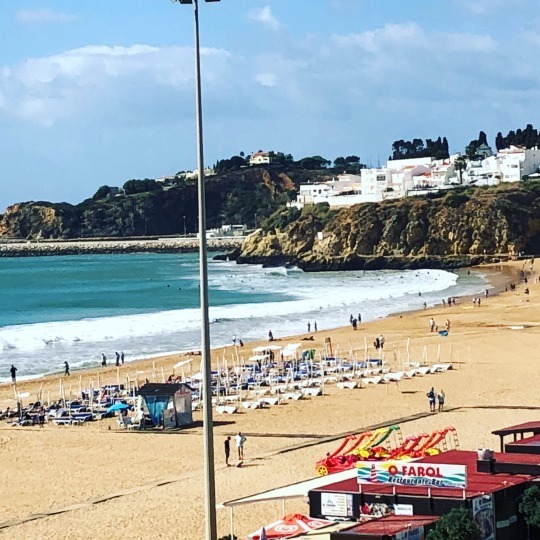 We decided to stay in the Algarve area since it seemed so similar to Laguna Beach. And it is in so many ways. Yes. Both Ry and I are self-employed and were able to maintain our clients. And in fact, we have both taken on more clients since our move here! Ry is a software engineer so he has always just needed a computer to do work from anywhere. Me? I got lucky! After I told my awesome clients about our plans to live abroad for the year, they worked with me so that I could work remotely since the bulk of what I do is writing, managing social media platforms, or preparing marketing or new business presentations. We now have WhatsApp and Skype in place so I easily do weekly video conferences! Are they the best or what? This is another reason why I give them my 110%!! What about your California home? We rented it to a lovely young couple who moved from NYC! I mean, I originally moved to Laguna from NYC 16 years ago and I love New Yorkers, so there we go! They have been great, responsible tenants. We packed up our entire house and now it is in a storage unit in San Juan Capistrano. Is Jax going to school? Yes. We found a fantastic bilingual Montessori school a mere 5 minute drive from our place. 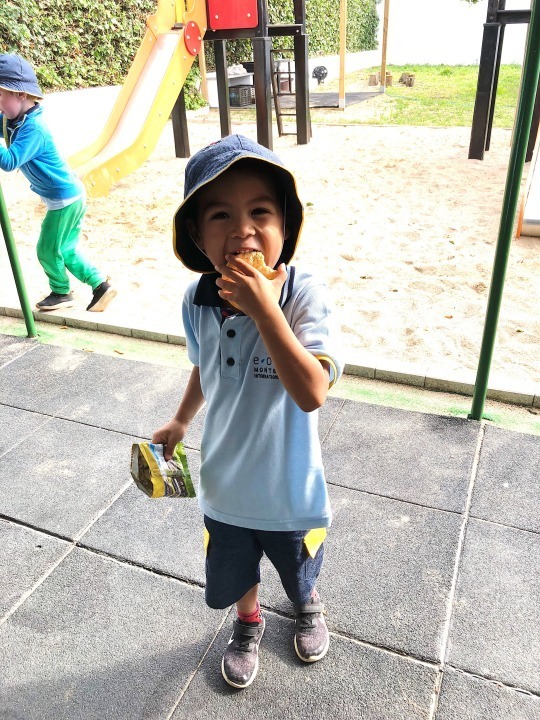 It literally opened last month as the first and only Montessori school here in the Algarve, and because of our lucky timing, there was an opening available when most private schools have waiting lists and are already booked for the school year. The school is run by a South African educator who married a Portuguese man and settled down here 8 years ago. Morning classes are conducted in English and the afternoons, which are less structured, are supervised by a Portuguese lady. Jax is the only American of the 8 total students. His classmates are Swedish, French, Norwegian, South African, British, and Portuguese. Hope that answers a lot of your questions! Feel free to shoot me an email if you need more details!